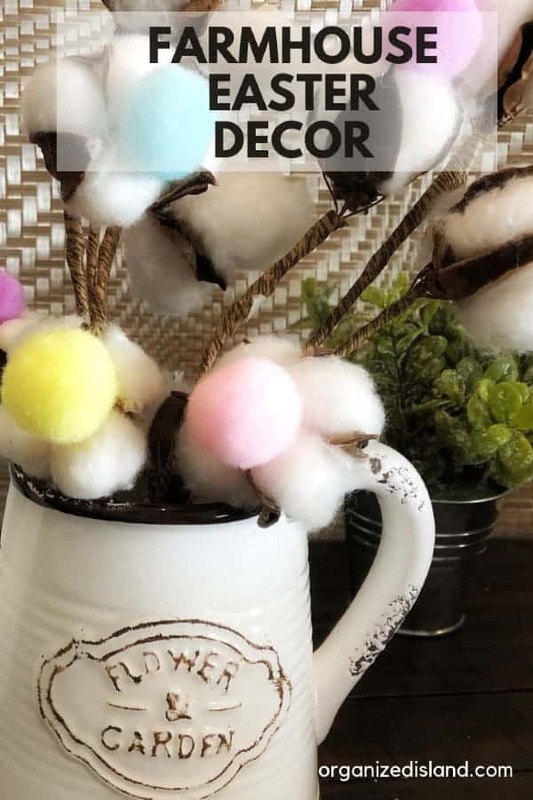 Today I am sharing some fun ideas for easy Easter Farmhouse Decor. 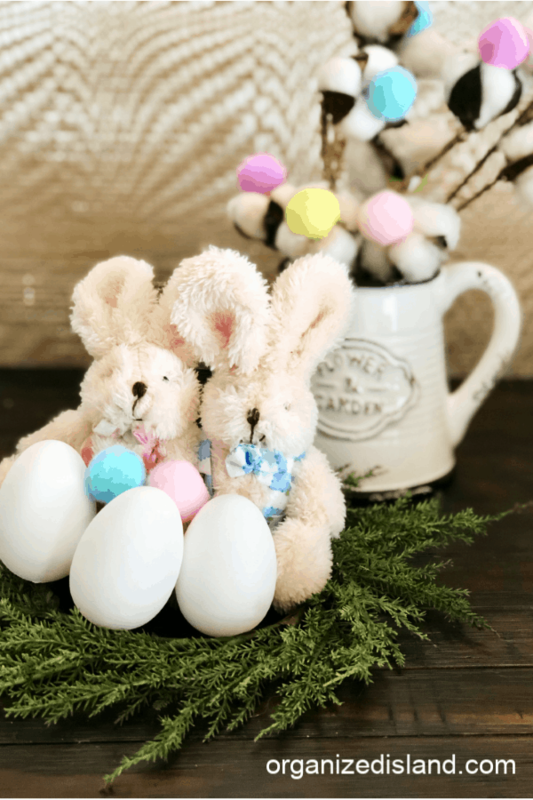 My home is more of a coastal farmhouse vibe, but I thought I would share some fun Easter decor ideas that would work for any type of farmhouse – traditional farmhouse, rustic farmhouse or even modern farmhouse. This post contains affiliate links. Have you decorated your home for Easter yet? 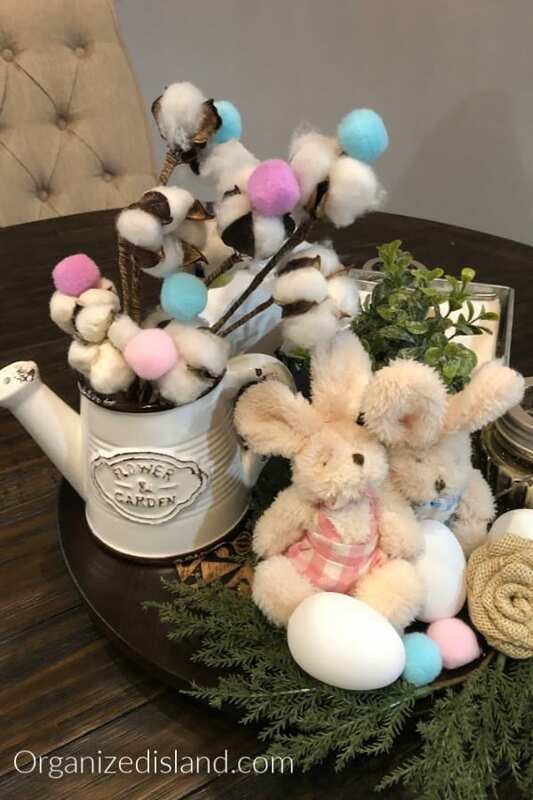 Recently my daughter and I did a little crafting and we decided to spruce up a few things that I already had, to add a little Easter decor to our home. 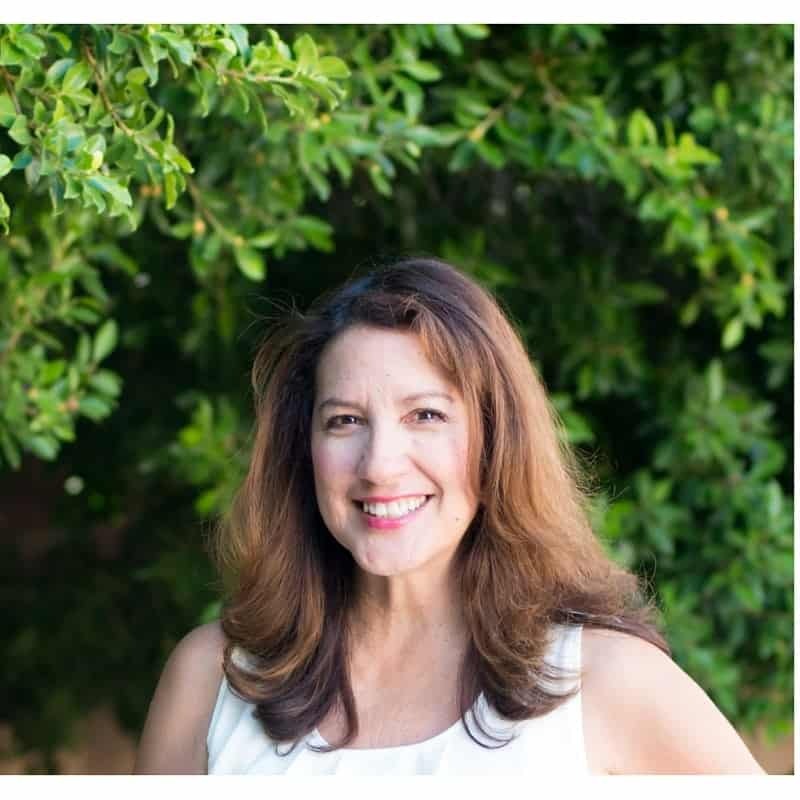 I have always been one to decorate for the season because it helps me embrace the time of the year and just offers a little change to the decor. I try to work with things I have so that I can save some money. It can be easy to use what you have so that you can keep things simple, while still adding some spring touches around the home. We will start with these cute little Easter Bunnies that I picked up from the craft store. I set them on a little green wreath that I picked up from the dollar bins. Don’t they just look so cute and cozy? The eggs are from the Target Dollar Spot. They are white plastic and can be decorated in so many ways. I recently talked about some egg decorating ideas. 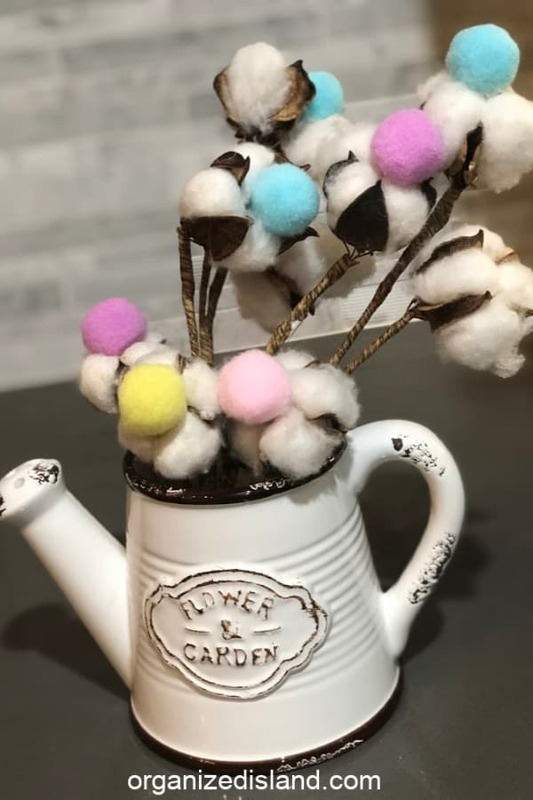 Next, I took some of the cotton sprigs I had and put little pastel colored puff balls in them. Finally, I wanted to create a fun centerpiece for the table. I usually us a tray or lazy Susan for the middle of the table. It serves as a little stage to decorate and change up from time to time. You can find one for under $12 on Amazon and remember, it gets covered up, so no need to spend more on a distressed style. 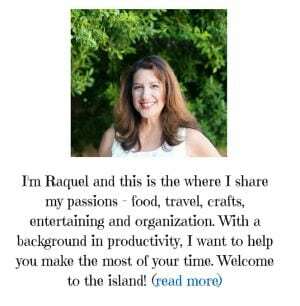 For more fun Farmhouse finds, check out this post. What kind of decor is in your home? We haven’t decorated but it’s like.. my favorite for decor. And candy. My mom goes all out. Cassidy doesn’t feel the Easter feelings the way I do, but I wish he did! Isn’t Easter Candy the best? I love that your mom goes all out!